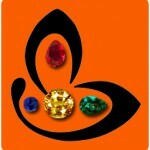 Good Results by Jyotish Gem Therapy. Power of lucky stones astrology. A proud Gemstoneuniverse patron speaks about his experience. Mr. Hitesh Athawasya– a proud and satisfied Gemstoneuniverse patron speaks about positive impact of implementing Gemstone therapy with Jyotish Quality gemstones and how a Jyotish Ruby and Yellow Sapphire brought about professional development and success in his life and also in the lives of his relatives and friends. Comments There are some gems that are absolutely stunning. 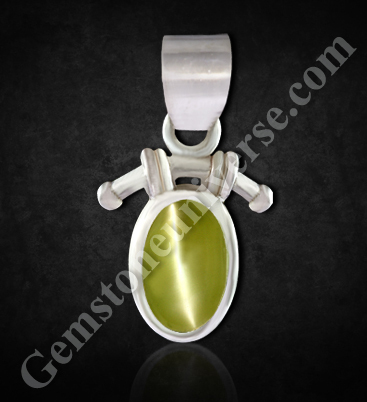 Featured today is a beautiful and appealing natural Yellow Sapphire. 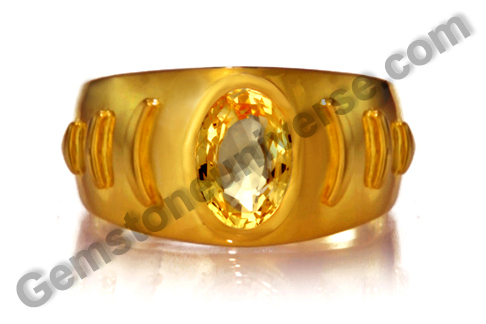 The lovely Oval gem of 2.31 carats is set in 22 karat gold as a men’s yellow sapphire ring. The sapphire also known as pukhraj stone in Hindi, is a deep golden butter yellow in color and has exceptional clarity and lustre. 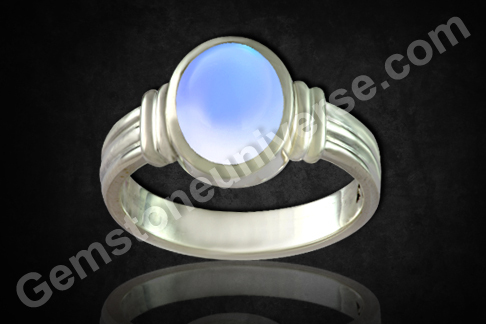 The pure and benevolent energies of this stone are the planetary energies of Jupiter that can bring about sea changes in life, inviting good fortune and abundance. 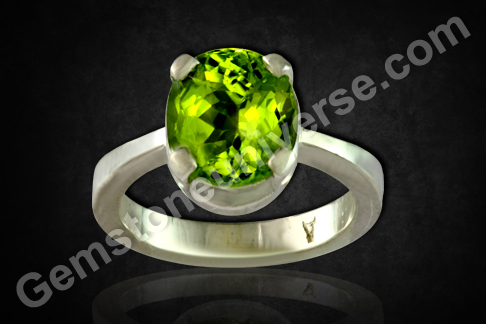 The finest yellow sapphires come from the gem mines of Ratnapura in Sri Lanka. The yellow color in the sapphire is due to the presence of trace elements of iron. 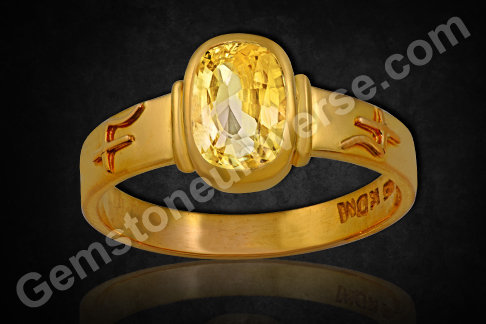 The Pukhraj talisman or the yellow sapphire talisman is worn in the Index finger. In Vedic Astrology or the science of jyotisha Jupiter or Brihaspati/ guru as he is also known is the planet of wisdom, learning and justice. Comments Getting a NATURAL pearl is quite hard in these times, for where ever you look there are all kinds of wares and a hardsell coupled with it. You wouldn’t know a natural pearl from a cultured pearl from the face of it. Featured today is a beautiful specimen of splendor- a natural and organic pearl of a whopping 4 carats and exactly so, set in sterling silver as a Moon talisman ring. Note that the shape is a very endearing button, the lustre excellent and the color uniform without any distracting overtones. A fully natural, non-nucleated and undrilled Australian Pearl that has a calming Sattvik aura and shining Jyotish powers! 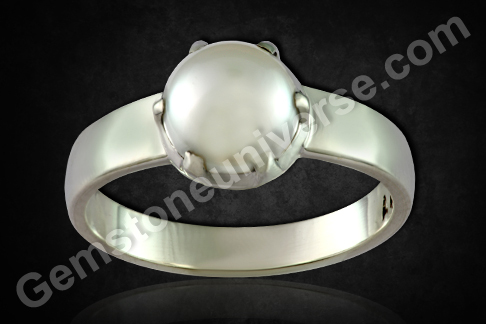 Natural pearl or moti or sachcha moti as it is known in Hindi, is the gemstone of Moon or Chandra graha. True that Moon is the significator of mind and can bring much peace, it can be the karaka for many other good things and benefits, depending upon its position in the individual’s birth chart. This gems has certification and a Pearl radiography report, verifying its parameters. For Pearl Information on different kinds click here. Comments A good gem of Jyotish quality is a rarity. 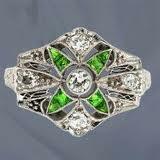 And if you are looking for a higher weight in that same quality, it is still harder to find. 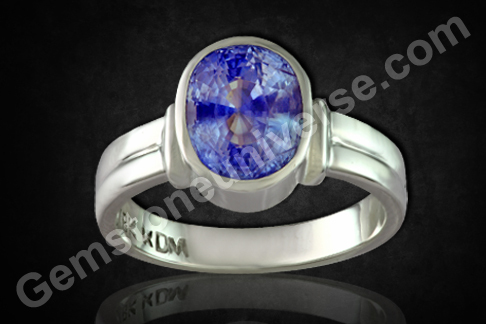 Featured today is a flawless jyotish grade natural, untreated Ceylonese Blue Sapphire of 4.88 carats. The weight makes it a super premium gem coupled with the additional factors of a very appealing and vibrant sky Blue color. The clarity is exceptional and so is the lustre. Ceylon Blue Sapphires (also known as neelam gemstone in Hindi) are renowned across the world for being the best and most prized, although there are other sources of this gem too. The word itself evokes the feel of bounty from a tresure hunt! The Blue sapphire carries within it the Planetary energies of Lord Saturn/ Shani. The principles of Jyotisha or Vedic Astrology have a universal significance and appeal and people across cultures, religions and faiths have benefited from Planetary gem therapy. 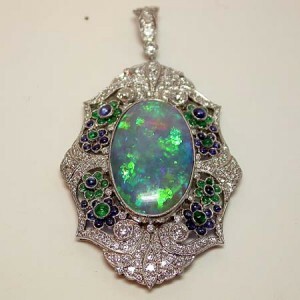 It is always advisable to get your horoscope / birth chart read for proper blue sapphire recommendation provided it is Jyotish Quality and is this weight. 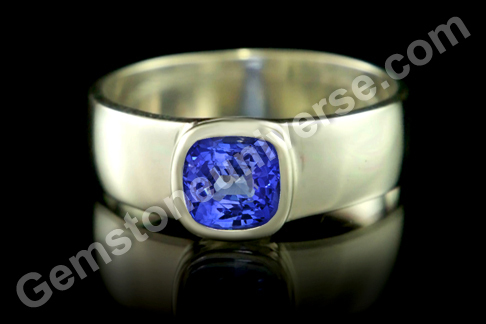 Also ensure that the Blue Sapphire is free from any flaws as listed in the sacred texts.